Join us for an informative workshop to learn all about Windham High School. Meet and speak with representatives, have all your and your family’s questions answered, and more! 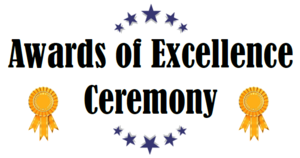 8th Grade Parents and Students! 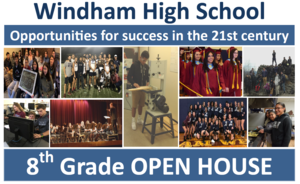 Visit Windham to explore our academic programs, college credit courses, sports, clubs, support for families, and activities. There will be a 2 hour delay Thursday, January 31 due to the weather conditions. Habrá un retraso de 2 horas jueves 31 de enero debido a las condiciones del tiempo. There will be a 2 hour delay and no after school activities Wednesday, January 30 due to the weather conditions. Habrá un retraso de 2 horas y no habrá actividades de después de clases miércoles 30 de enero debido a las condiciones del tiempo.